Astronaut Peggy Whitson has broken the U.S. record for most time in space. She talked up Mars during a congratulatory call from President Donald Trump. The International Space Station's commander surpassed the record of 534 days, two hours and 48 minutes. It is the most accumulated time in space by an American. "This is a very special day in the glorious history of American spaceflight," Trump said on the call April 25. He was with his daughter and close adviser, Ivanka Trump. She also offered congratulations to Whitson. 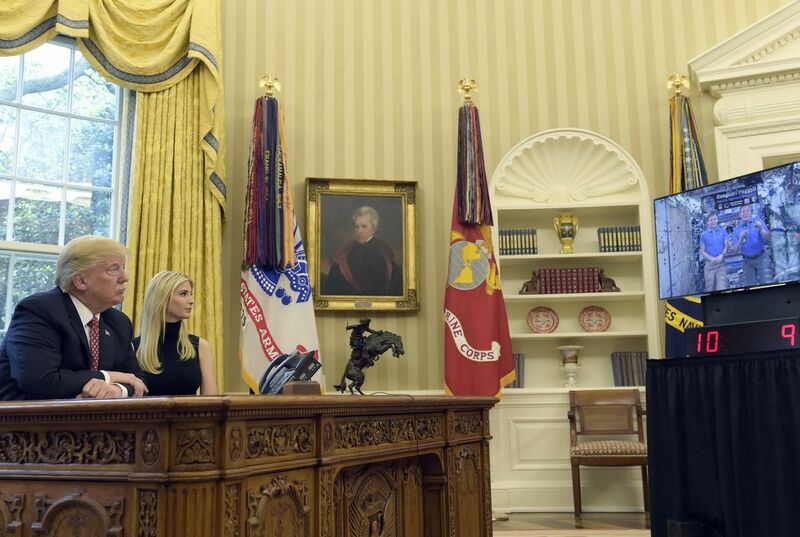 The Trumps called Whitson from the Oval Office. Whitson said it is "a huge honor" to break such a record. "It's an exciting time" as NASA gets ready for human missions to Mars in the 2030s. She called the space station "a key bridge" between living on Earth and traveling into deep space. And she singled out the station's recycling system. It transforms astronauts' urine into drinking water. "It's really not as bad as it sounds," she told the president. "Well, that's good. I'm glad to hear that," he replied. "Better you than me." 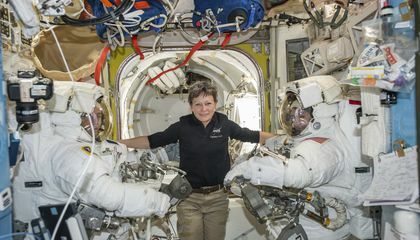 Whitson was already the world's most experienced spacewoman and female spacewalker. At 57, she is the oldest woman in space. By the time she returns to Earth in September, she will have logged 666 days in orbit. That total is over three flights. The world record is 879 days. It is held by Russian Gennady Padalka. Whitson broke the NASA cumulative record. It was set last year by astronaut Jeffrey Williams. Scott Kelly holds the U.S. record for consecutive days in space. His record is 340. Whitson is also the first woman to command the space station twice. And she is the only woman to have led NASA's astronaut corps. Behind her was a banner that read: "Congrats Peggy!! New U.S. High-Time Space Ninja." The sign arrived on the commercial cargo ship. It is called the S.S. John Glenn. NASA astronaut Jack Fischer recently got to the space station. He took part in the phone call with the president. He said the space station is "by far the best example of international cooperation." Whitson told the president that spaceflight takes a lot of time and money. So getting to Mars will require working with other countries to succeed. NASA is building the hardware right now to test a new rocket. It will carry astronauts farther from Earth than ever before, she said. "Well, we want to try and do it during my first term. Or, at worst, during my second term. So we'll have to speed that up a little bit. OK?" Trump replied. "We'll do our best," Whitson replied. The debut of the mega rocket is still more than a year away, at least. The date will depend on whether astronauts are on board for the test flight. It could hoist the new Orion capsule to the vicinity of the moon. Both Whitson and Fischer raised a hand when Trump asked which one of them was ready to go to Mars. Joining Trump in the Oval Office was astronaut Kate Rubins. Last summer, she became the first person in space to perform entire DNA decoding. This is also known as sequencing. She said she used a device the size of a cellphone for the job. And she noted that such sequencing can detect microbes aboard spacecraft. It also can monitor astronaut health. "That's fantastic," Trump said. "I've been dealing with politicians so much. I'm so much more impressed with these people. You have no idea." I love this it show's that women can do stuff do as well as man she beat a man record but america is all ways breaking a record after record.